One of the most useful web applications is Google Calendar and I find myself using it everyday to organise my life. It supports pretty much anything I can think of relating to calendars including the ability to make calendars available to the public so they can have your calendar availability in their Google Calendar too. I just wish that Microsoft would realise that their Outlook Web App is a terrible terrible corporate alternative I have to endure and grimace at the work place. Anyway I found myself falling into a routine of checking both Google Calendar and Facebook when I am checking my availability. 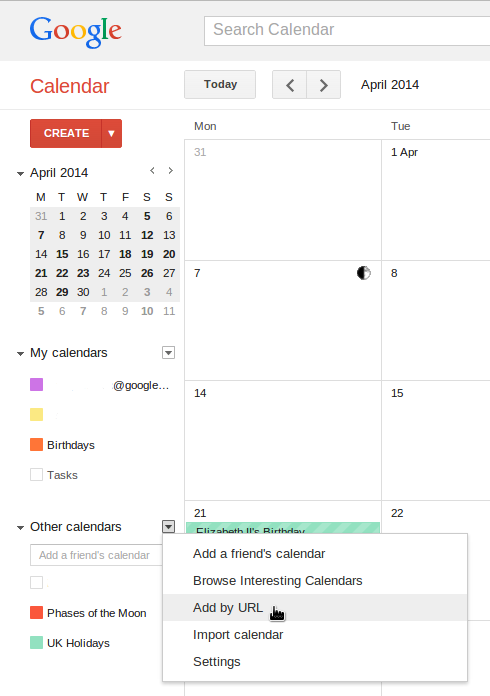 Surely there must be a way to bring Facebook's events into Google Calendar! And there is! And it's easy peasy! Just follow the following simple steps. 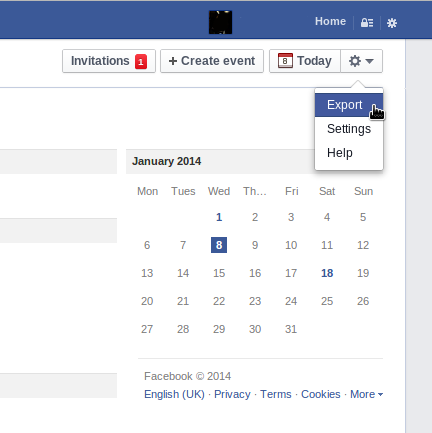 You'll need a URL for your Facebook calendar. If you go to a text editor and paste the link it should be in the following format. If this is the case then you can continue to the next and final step. Oh yeah in one of the screen shots above you'll see an option for 'Settings' if you need to refine the events that gets exposed to Google Calendar you can change the settings there. By all means rename the new calendar listed under 'Other Calendars' to something obvious like 'My Facebook Events'.